This article assumes you have at least basic knowledge of linux, know how to use the shell, and most importantly, you host your site on your own VPS. The installation is quite simple. I will show you through the step by step installation Elgg (Social Networking Platform) on Ubuntu 14.04. Congratulation’s! You have successfully installed Elgg. Thanks for using this tutorial for installing Elgg social networking engine on Ubuntu 14.04 system. 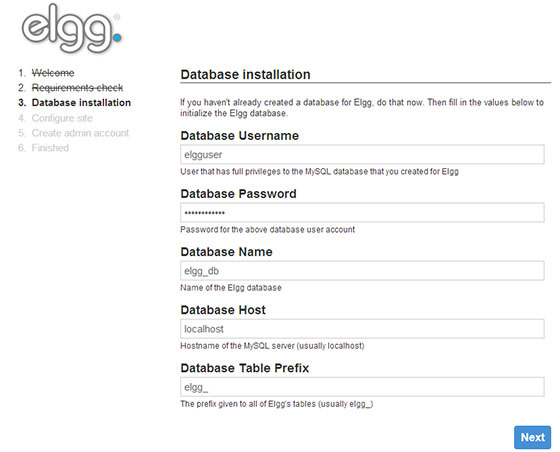 Related Posts of "How To Install Elgg on Ubuntu 14.04"